This book is aimed at parents with younger children, from three to about ten in which my goal is to build the foundations of strong character in younger kids. Featured on The Today Show it has been used as a parenting text across the country, and has been translated into several languages – because the questions are on parents’ minds everywhere — how can we help kids stay safe, be respectful and reach their full potential? 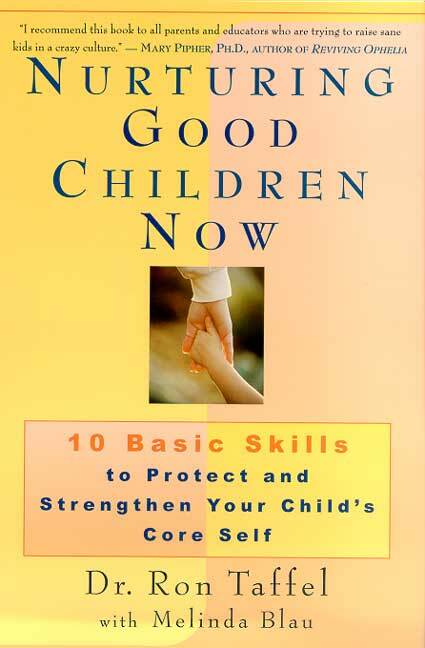 Nurturing Good Children Now explains how to raise children from early on who have a deep sense of values and enthusiastic spirit. Mood mastery – how to teach kids to regulate and sooth themselves. Expressiveness – how to help young children talk about what matters to them. Respect – how to help kids listen to responsible adults. Focus – how to get kids to slow down and pay attention when so much else is going on. Body comfort – how to help kids like how they look when the culture teaches them not to. By offering a combination of social commentary, the latest research on child development and practical advice, I believe we can nurture good children now and, for a better future, we must begin early.